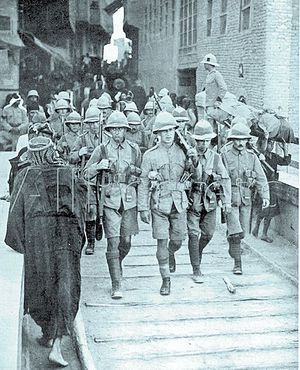 British Forces on the march in Mesopotamia. Almost exactly ten months after the surrender of General Townshend to the Turks in Kut-el-Amara, British, troops have again entered this squalid little town on the left bank of the Tigris. 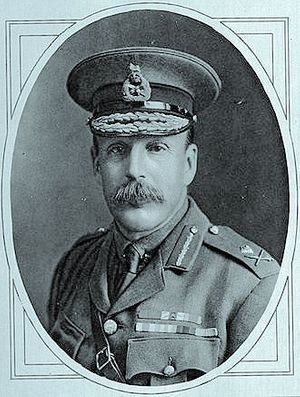 It has been clear from General Stanley Maude's recent messages that the British could have reduced Kut to a heap of mud bricks at any time during the past month or so. The actual entry into Kut could also have been effected much earlier than has been the case, but the urgency of the operations had disappeared after it was seen that they had failed to effect the relief of General Townsend's force.